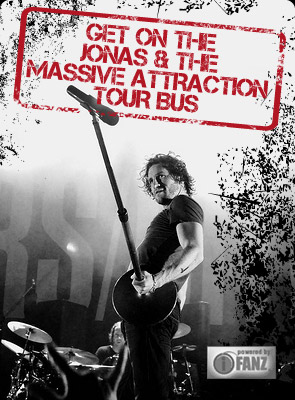 Jonas & The Massive Attraction will release their NEW single “The Deep End” to ROCK RADIO stations across Canada this Tuesday, May 22, 2012. “The Deep End” is the fourth single from the band’s album “Big Slice” and follows up the success of their Top 10 hit “Big Slice” and Top 20 hit “Seize The Day”. 100.3 FM THE BEAR in Edmonton and 101.5 FM THE BEAR in Fort St. John, BC are leading the charge, having already added the song to their playlist to great response and taking it Top 40 on the Mediabase Active Rock Charts! REQUEST “The Deep End” at your LOCAL ROCK RADIO STATION! For a list of stations and contact information, check out Canadian Rock Radio List!